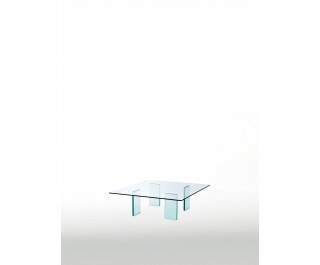 Low table characterised by the very refined minimal aspect with feet in mm. 24 thick transparent glass thermo-welded to a top in mm. 12 transparent tempered glass. Historical and iconic product of the international design, designed in 1976 by the great master Shiro Kuramata.